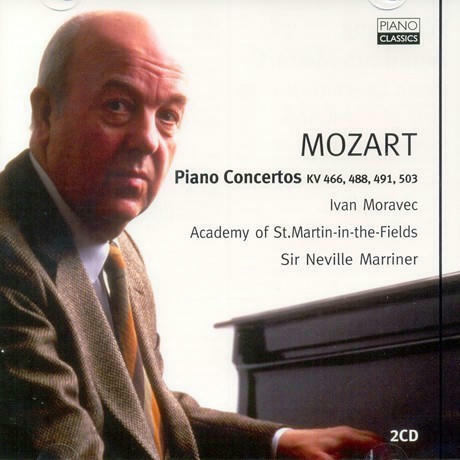 Discussion in 'Music Corner' started by George P, Aug 15, 2014.
also liking this Moravec Mozart recorded in 1995 with Neville Marriner. I bought that a couple of weeks ago. I still haven't listened to it. I have the original hanssler CDs. I love them. A nice cross-section of Previn's work with the LSO, 1966-71. Recorded by Decca engineers, so you know it sounds good. bluemooze, ToddBD and 5-String like this. bluemooze and 5-String like this. Amazing what these cartoon shows get away with. A number of years ago, when I was in Venice, I went to a concert in a church. The group was 8 players and they played a Mendelssohn concerto and a number of baroque concertos. I can imagine it being iffy on CD, but live, in the small church with great acoustics, it sounded very nice. The Mendelssohn was either the piano concerto or violin concerto, I can't remember which. The 8 players were really able to fill the small church with sound, but I have to imagine such a small group would really sound strange on CD. I 've also been in some small scale concerts in churches and small auditoriums and it is amazing how nicely the room is filled up with sound only by a few players. I believe that this sensation of the sound filling up the space in all dimensions is missing from the 2-ch sound reproduction. Sometimes I wish that I had surround capability in my system so I could see at what degree this can be reproduced by a surround system. A small group like that can sound a bit thin on some recordings, especially in larger-scale works, but that's not the case here. 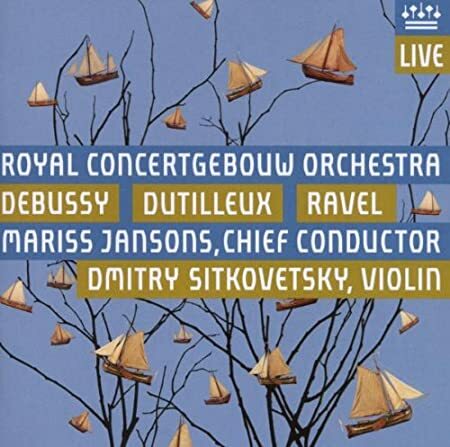 There are 7 players on this recording: 3 violins, viola, cello, violone and harpsichord. That's similar to the group I saw in Venice. The keyboardist had both a harpsichord and piano. The cello player was very good and did an improvised, baroque style solo that was great. 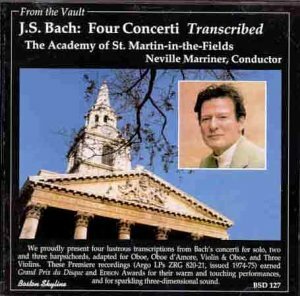 I have the follow-up disc of double and triple concertos. It also features 7 players in addition to the soloists. It's a very satisfying recording made in a London church. The measure of such success is that trad style performances have essentially disappeared from these genres. I love many HIP recordings but I can't believe that the HIP movement will last for the rest of eternity because at some point.. well... how much *more* authentic can you get? Some endpoint will be reached, people will get bored with it, and musicians will come up with some new style of interpretation, maybe some new kind of subjectivity? You folks ok over here? I've been living in Beatleland the last couple of weeks. I guess for the Beatles, HIP is a mono LP. jukes, ToddBD, J.A.W. and 2 others like this. Nearfield listening can provide a somewhat similar sensation although not as precisely as a mathematically accurate surround sound recording. The problem is that so few surround recordings are accurate as opposed to fiddled with for effect. And if you're like me, you don't have a good room to put a surround system in. My neighbor gave me his old system when he upgraded. But it's not ideally set up. Lol, me too since Tuesday when I got my box set! It's not like we left Beethoven, etc., for an oompah band!